At CNY Media Solutions, we know websites. We don’t just give you a cookie cutter design – we build your site around your brand. We sit down with you to learn about your business and discover what you need. Our prices are competitive and we believe that quality should not cost an arm and a leg. We will not stop until you are 100% satisfied because our work is a reflection of both your input and our recommendations based on best practices. We encourage you to fill out the questionnaire below which will provide a deeper understanding in what you need and will provide a good starting ground when discussing your business website needs. Thank you for filling this out. We will contact you as soon as we have reviewed your information. In order for us to provide you with an accurate quote, please answer the questions below as thoroughly as you can. We will review your answers and contact you as soon as possible. Thank you! Please provide examples of 3 websites in your industry and tell us what you like or don't like about the design, functionality, content, and layout. Please include the URL and tell us what you like and don't like about it. Do you want to collect email addresses on your website for a newsletter marketing software? What social media do you participate in? What is your #1 top priority for your website? Design: We need a modern, fresh look. Content Management: We want a website we can easily update ourselves. Maintenance / Support: We want to work with a responsive company that will manage our website for us. Content: We need more professional text, photos or graphics. Turnaround Time: We need a website up by a specific deadline. Cost: We've are on a shoestring budget and need the lowest cost solution. Will you be providing the text content for the website? Will you be providing the photos & images for the website? 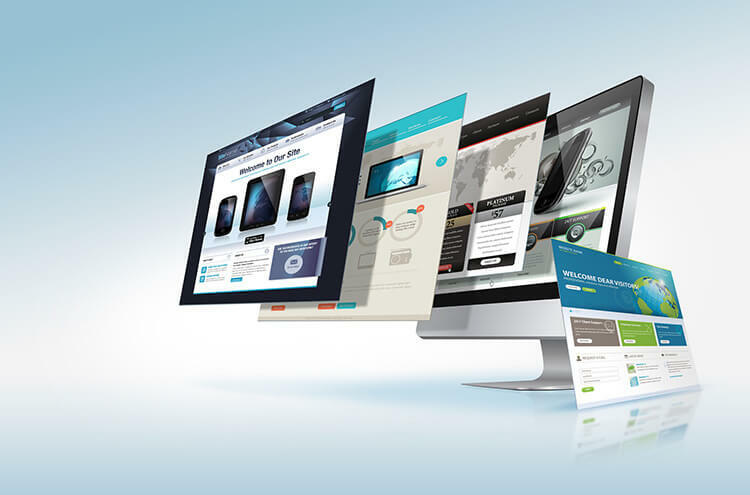 What pages will your website need? What other pages will you need besides the pages listed above? Are you interested in getting a quote for monthly internet visibility / search engine optimization? Do you want us to handle the maintenance and future changes to your website so you don't have to? Do you want to be able to sell products or services online & accept payments?